Are you tired of your bed churning out reddened tans? High UVB percentage lamps give more immediate results and shorter session times, but sometimes they give a reddening effect. Many tanning bed owners and users are not enthused about the reddening effect. They are looking for a bronze or brown tan when they go to a tanning bed. These tanning lamps are perfect for people who want their bulbs to deliver deep, dark bronze and brown coloring over time and forget the quick, sometimes red results. 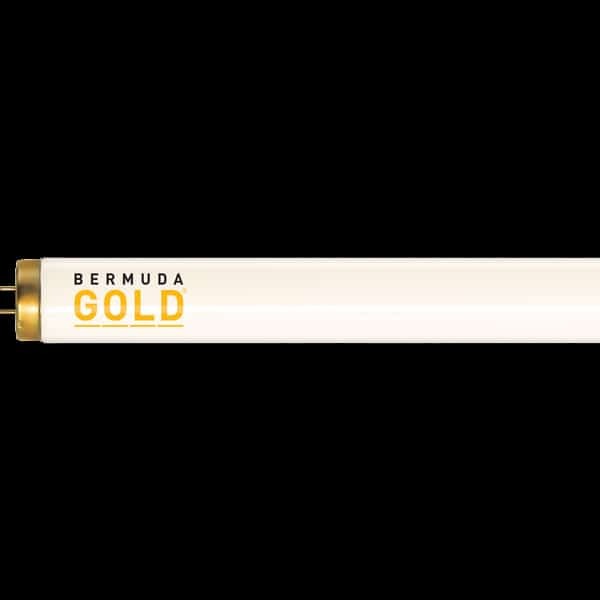 The lower UVB rating and bronzing bulbs of the Bermuda Gold F71 Bronzer Replacement Tanning Bulb deliver just that.